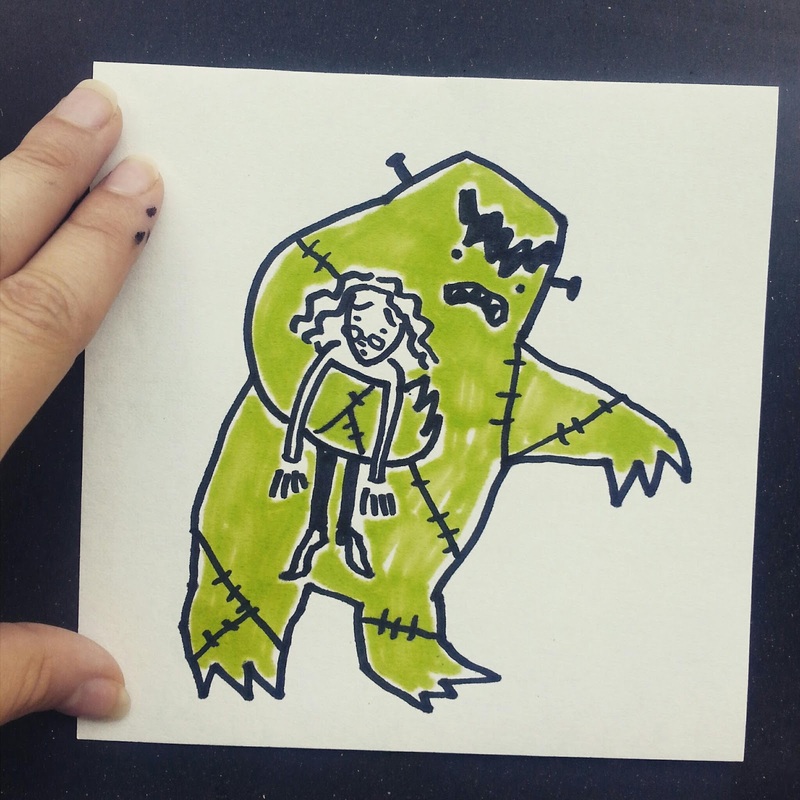 I have been abducted by Frankenstein's Monster (or "Creature", if you want to be politically correct). Well, OK, maybe not. But I guess that is just my dramatic way of saying that I have been absorbed in writing a research paper on Frankenstein and unable to leave the house. I haven't spoken to anyone besides my mother and brother for four or five days. "Have you showered or exercised, Lucy Rose?" There actually is a good analogy to my paper writing and Victor Frankenstein's creation of The Creature. He locked himself away from the world and devoted himself solely to his experiment while he ignored all family and friends. That is me. I feel like this paper is as hideous as The Creature and has isolated me as much as Victor. The upshot of this is that my blog post for today is scanty. Sorry, guys. I have to beat this paper. I must discover the origins of human life...I MUST CREATE LIFE! I must make YOU LIVE! LIVE! MONSTER! LIVE! While we are talking about Frankenstein I must share a short scene from my favourite film adaption of the novel: Young Frankenstein. It is a genius comedy directed by Mel Brooks and featuring one of my favourite comediennes of all time Madeline Kahn. Hopefully, I will see you tomorrow. PS Now is a good chance for you to read up on some of my old posts. Here are some of my drawings from last summer. Here is a series of drawings from last summer about the things for which I was grateful. Here is a random post about a time I went to Chicago and got rained on. This song is my jam today.